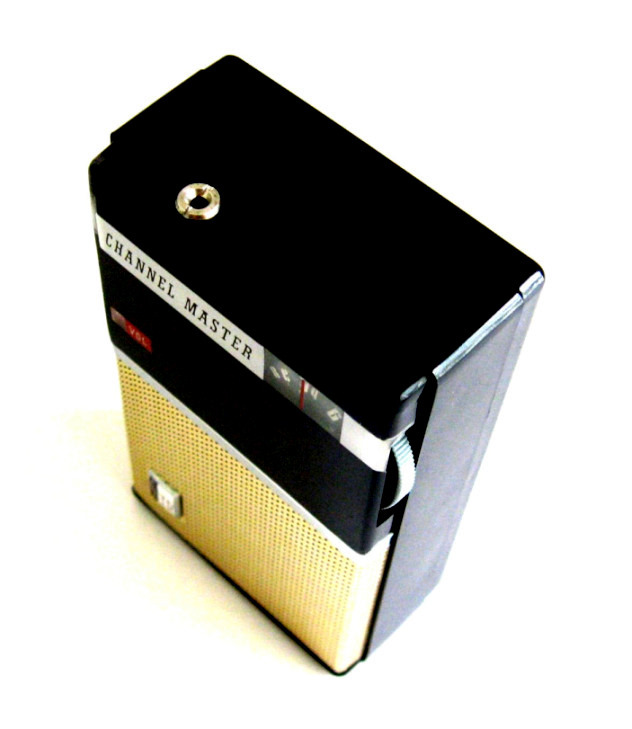 This Channel Master 6503 is an attractive radio that is often overlooked and undervalued by collectors. 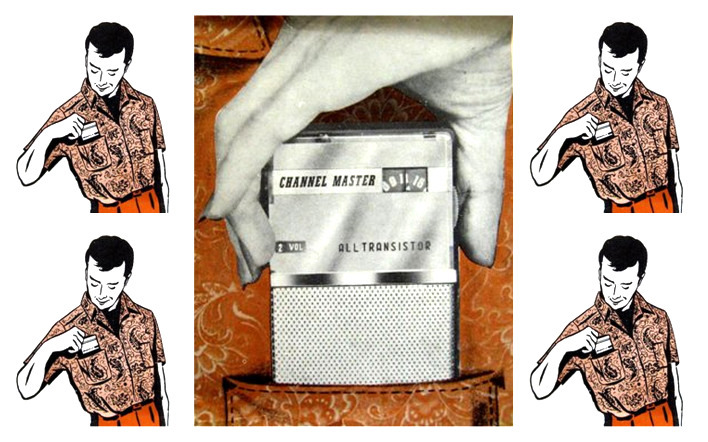 This is the first shirt pocket size radio to bear the Channel Master logo making it a historically important set. It was manufactured in Japan circa 1959 by Sanyo. 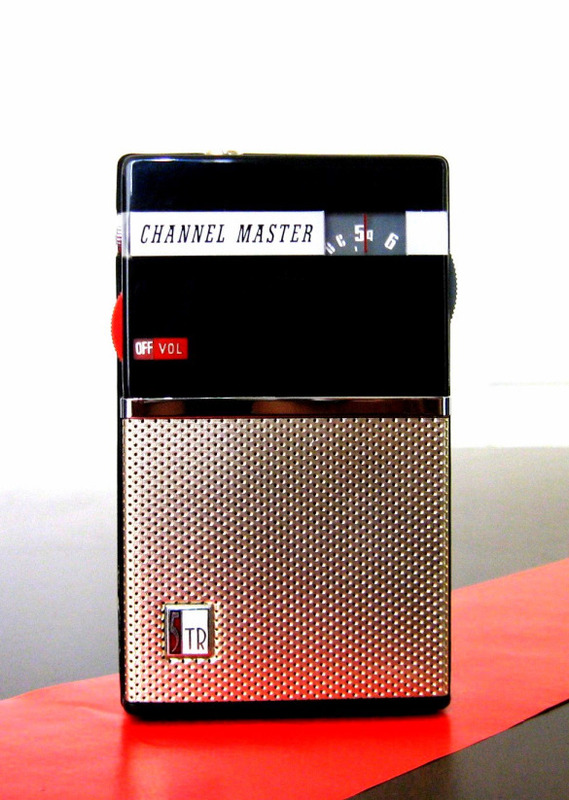 Channel Master was the name that Sanyo hid behind when exporting radios to the USA in the late 1950’s and early 1960’s. 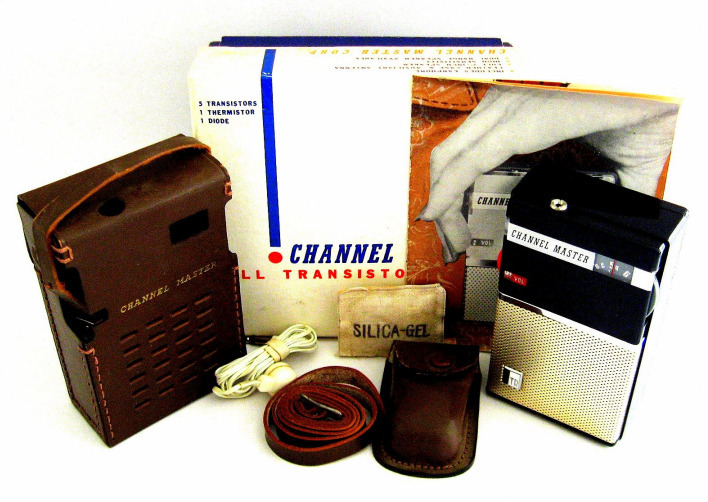 According to Sanyo they were the top exporter of transistor radios in 1959 and the majority of these exports would have been branded as Channel Master. 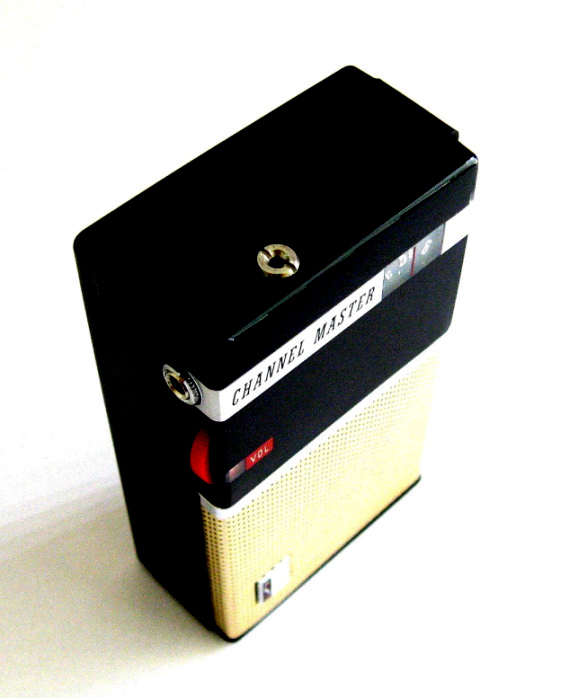 This Channel Master came to me from the USA and it was originally owned by a chap who ran an Electronics Store in the 1950’s. He subsequently discovered oil on his property and hit the big time! He packed up his store inventory into a couple of containers and there it sat for almost 50 years until an enterprising eBay seller from California purchased the containers and sold this mint radio to me! This handsome little Channel Master has a lot going for it! It is well balanced, stylish and very well made. 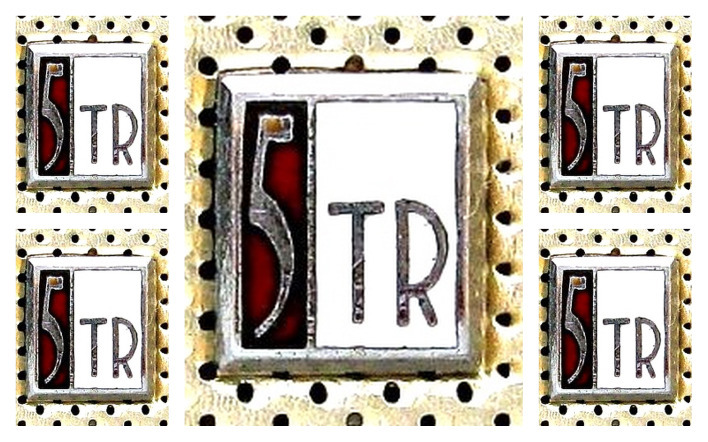 It has a large slab of reverse painting on the front and a beautiful little cloisonné badge on the metal speaker grill. The red volume knob with accompanying window stands out against the black cabinet and is a nice touch. 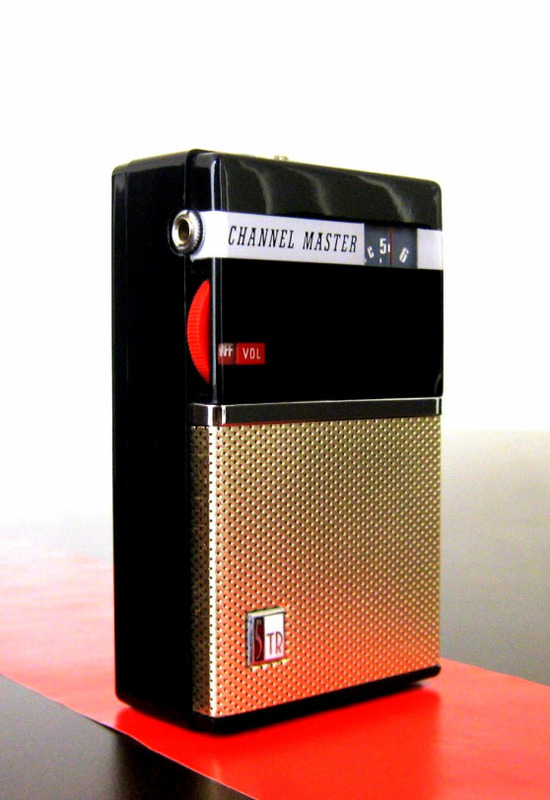 Sanyo Channel Masters were arguably the most popular brand of Japanese radios sold in the USA behind Sony. This particular model is rarer than the more common horizontal sets and in my opinion it is a very sharp and smooth looking radio! 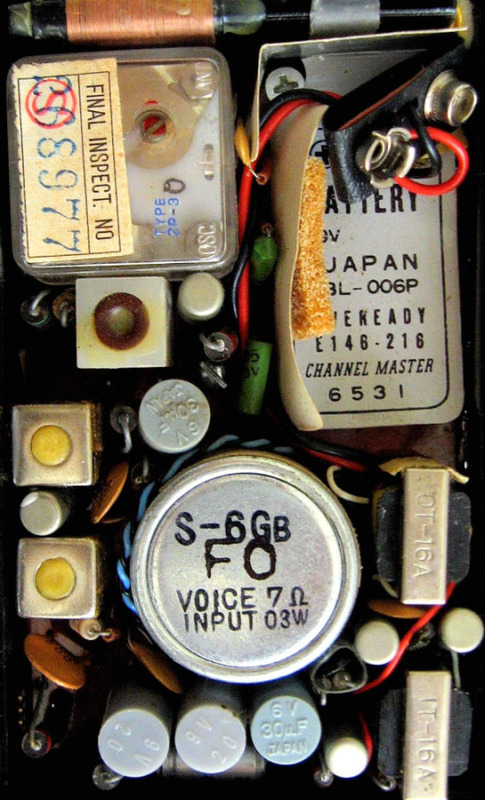 Sanyo had two different model numbers for this radio, 6503 and 6504. The 6504 was the 'poor mans' version; it came with no accessories. This radio can also be found branded as an RCA GP-336 with a slightly different face. 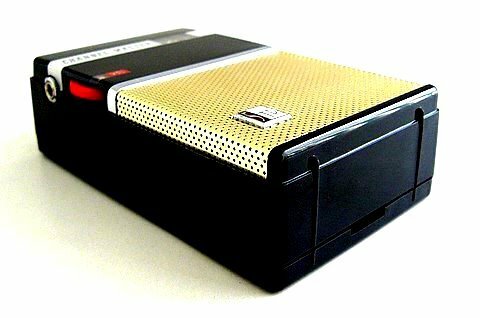 Sanyo was founded in Japan by Toshio Iue in 1947. The company's name means three oceans and refers to the founder's ambition to sell their products worldwide, across the Atlantic, Pacific and Indian Oceans. Sanyo's first product was a bicycle lamp! They claim to have manufactured Japans first plastic cabinet radio in 1952, model SS-52. 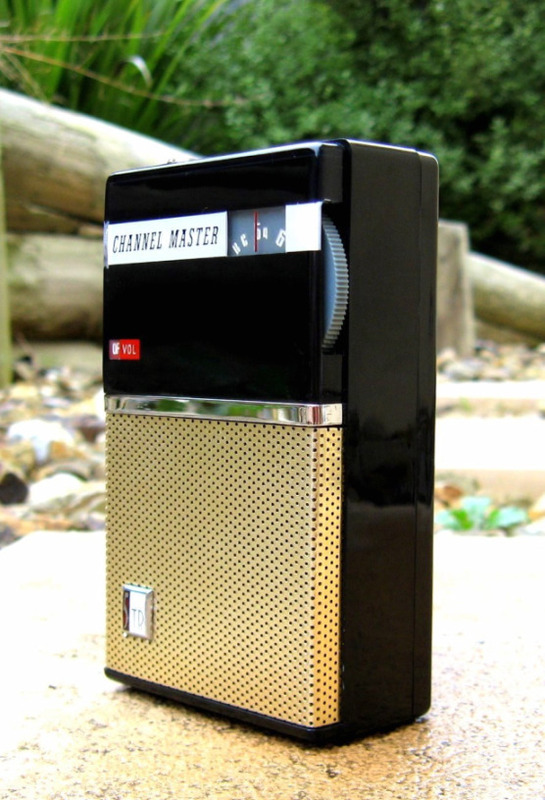 They manufactured their first transistor radio, the 6C-1 in 1956. Today Sanyo is a Fortune 500 Company and one of the worlds leading manufacturers of consumer electronics. This radio is basically like new. It is practically flawless with absolutely no wear to the coin slot. It comes with its original gift box, leather case, leather earphone case, leather carry strap, earphone, auxiliary external antenna with suction cap and instruction manual. It also comes with an innovative little cloth pouch of silica-gel. And I thought that stuff was a modern product. On the box "$19.95 less batteries" is marked faintly in pencil. WOW! 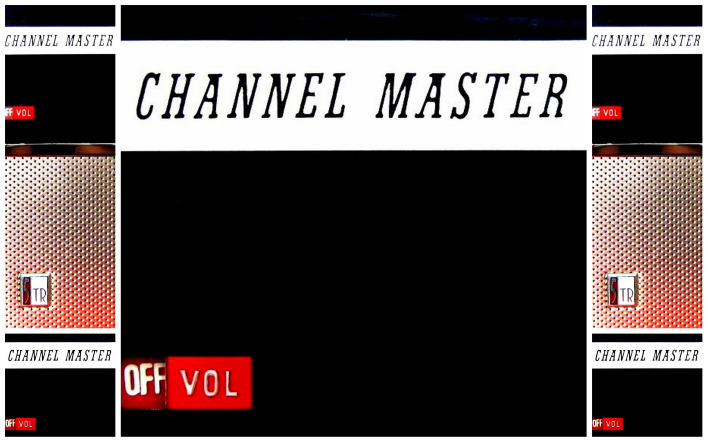 Check out the retro instruction manual for this Channel Master. Nice 1950’s graphics! Far out, it’s hip and funky dude!